Successfully Added GPS Watch Deluxe (Location Finder + Data Logger + Photo Tagger) to your Shopping Cart. A marvelous GPS device combined with a high quality watch containing precision Seiko quartz movement. The benefit to you is advanced GPS features and a truly beautiful timepiece. Just google how much a Seiko watch costs and you'll recognize this opportunity of a lifetime: To own an amazing Seiko movement wristwatch with GPS functionality. Bravo! Locate places at just the touch of a button: With multiple directional LED's, this watch will intelligently direct you back to a previously logged (POI) point of interest (like where you parked your car or your hotel). When you come within 50 meters of the saved location, the arrows around the watch face will begin flashing, and when you are within 15 meters the arrows will turn blue, letting you easily and conveniently find your destination! Record GPS data of your trip: With the built-in data logger, this GPS watch will constantly record your position, speed, and altitude, so when you get home, connect the GPS watch to your computer and use the included iTravel Data Logger software package to view all your logged paths right on Google Maps or Google Earth. This powerful, easy-to-use function lets you relive every point along your trip, as well as share with others! Photo tagger: Use the included Photo Tagger software to show locations where you have taken photos and share your memories with others. Now your family and friends all over the world can see your pictures and the exact location where you took them! All products you see on Chinavasion are sourced direct from the factory. The upside to you: amazingly low prices, incredibly well-made products. 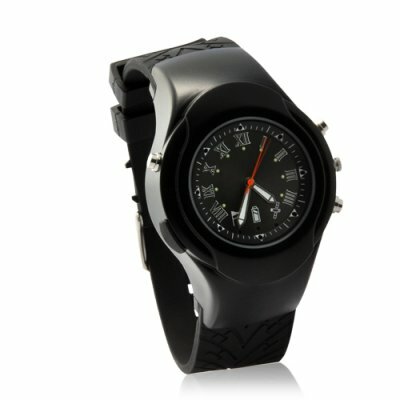 Order a sample of this beautiful GPS watch today and we will ship it to you tomorrow. Brought to you by your source for low price high quality electronics - Chinavasion.